Questing for a new feat in the 2015 World Series of Poker (WSOP), Jason Mercier has successfully scooped up the 1st place finish in the $ 5,000 buy-in Six-Handed No-Limit Hold'em. Prior to this win, the American poker pro had lost big in cash games. He also faced a pretty tough challenge entering in this $ 5,000 buy-in event. 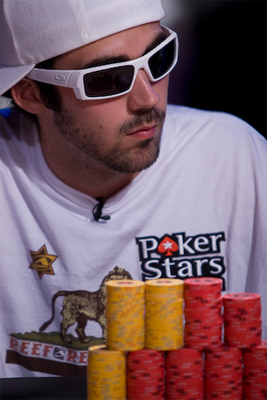 Despite all this, Mercier kept his head up high and cashed $ 633,357 as he edged Simon Deadman in the final showdown. Both men were the last title contenders battling it out in Amazons poker room. His victory in this hard-boiled battle has allowed him to grab his 3rd championship bracelet. Highlights in other events would see Benny Glaser cruising for an epic performance in the Event # 32, the $ 1,500 buy-in 2-7 triple draw lowball. By topping a field size of 388 entrants, heads-up rival Brock Parker included, the Southampton-based (United Kingdom) poker player came up victorious. He was awarded his very first WSOP bracelet plus the top prize of $ 136,215. As for the $ 3,000 buy-in HORSE tournament, it is now some actions closer to its ultimate day. Among the 376 players who participated in the battle, only 29 now remain in the hunt for the title. Taylor Paur, John Racener, Joe Hachem, Allen Kessler, Ted Forrest, Dan Kelly and Mike Leah are part of the notables heading to the next phase of the event. Frances David Benyamine and Gabriel Nassif are also among the survivors marching in confidence towards the title. Benyamine is actually in the Top 5, while Nassif is listed 16th in the chip count.